Good location, it's 12 minutes walk from Wan Chai Station that goes to Central.... quite a few buses routes pass next to the hotel. There were some leaflets in the room with nice restaurants/ takeaways nearby which we visited. The device that comes with the room is a nice feature, we were able to do mobile hotspot all around the city. Room nice and relaxing area. Transportation near by times Square hk very close. Bar pretty good easy check inn good checkout amenities perfect snacks warm welcome awesome service Fridley staff. It was a great location, we are a big group of 23 still the orderliness was maintain. Good place. Easy access to the subway and the Times Square. You can reach anywhere by walking which is a really good thing. Location was perfect for me and my friends. Staffs were attentive, kind and professional. Bed was comfortable. Location wise very accesible. Clean rooms and staff were nice. Nothing it was not what I expect, but after they upgraded us to the room with horse race view, it was better and comfortable, then I could sleep better. Friendly staff. Room is very clean and neat. Location is also good. What we liked the most were the free mobile wifi and free shuttle that made our entire trip very convenient. The Dorsett is one of my favorite hotels in HK. It was my friend's birthday and they made her feel extra special with a bottle of wine. Dorsett Wanchai, Hong Kong This rating is a reflection of how the property compares to the industry standard when it comes to price, facilities and services available. It's based on a self-evaluation by the property. Use this rating to help choose your stay! One of our top picks in Hong Kong.Providing free WiFi in all areas, the 4-star newly renovated Dorsett Wanchai, Hong Kong (formerly Cosmopolitan Hotel Hong Kong) is a short 8-minute walk from Causeway Bay MTR Station. All renovated guestrooms offer free use of a smartphone with unlimited 4G Internet supported with WiFi data sharing function to share connection with one’s own mobiles, tablets and other devices, free local calls, and IDD calls to 8 countries including Mainland China, US, Canada, Singapore, Korea, UK, Australia and Thailand. This smartphone can be used both in and out of the hotel. 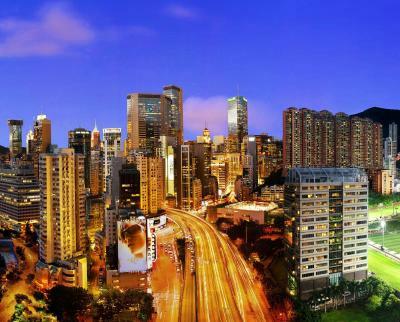 Adjacent to the horse riding ground, Dorsett Wanchai, Hong Kong is located in the Wan Chai Business District and a 15-minute drive from Ocean Park and Stanley. The local neighborhood offers tourists a lot to explore. Hong Kong international Airport is 45 minutes' drive from the property. Free shuttle services cover popular spots like Causeway Bay Plaza 2, Hong Kong Convention and Exhibition Center, IFC, Pacific Place and Airport Express Line Hong Kong Station. 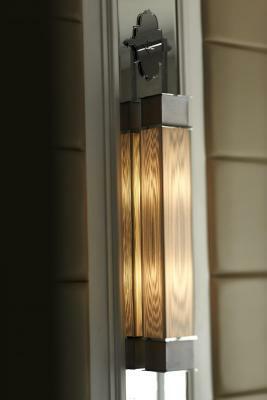 The elegant rooms have large windows, as well as relaxing massage shower cubicles or rain shower in the bathrooms. A flat-screen TV is included. 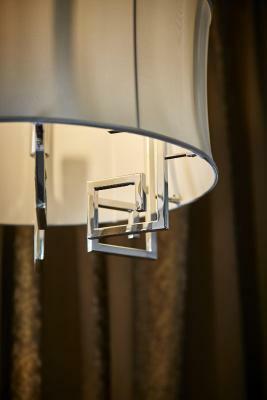 The renovated room is also equipped with a mini-bar, personal safe and tea/coffee making facilities. The renovation leaves the rooms with some meticulously adopted themes, including the east-meets-west Victorian, classical-oriental and sleek-contemporary designs. Most of the refurbished rooms offer a majestic view of the racetrack, and the redesigned bathrooms feature a refreshing rain shower experience. 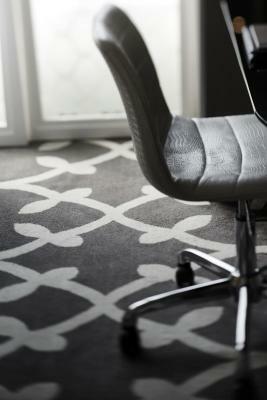 The hotel also provides refurbished meeting rooms which can accommodate up to 200 attendees. Other facilities include a gym room. The Dining House Restaurant serves authentic Chinese cuisines to deliver the finest Guang-dong and Huai-yang dishes and buffet breakfast, available from 06:30 till 10:30 in the morning. 3T Bar offers an extensive cocktail and wine menu. In-room dining is possible with room service. Every Wednesday evening there is Dorsett Wine Hour and Dorsett Candy Bar on the house. 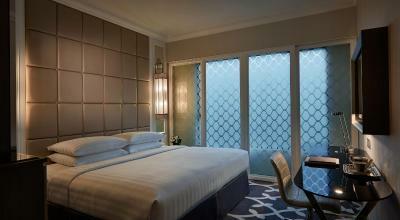 When would you like to stay at Dorsett Wanchai, Hong Kong? Renovated with inviting ambiance for a mind-calming retreat, this twin/double room features a mini-bar, coffee/tea maker, an HD TV with over 30 cable and satellite channels and a walk-in massage rainshower. 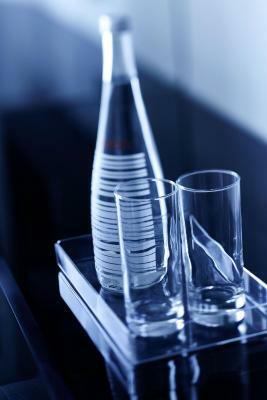 Extras offer complimentary toiletries, bathrobes, hairdryer, in-room safe, slippers and bottled water. For guests' comfort, supreme duvet and bed linen, as well as sliding panel in front of a sandblasted window for a contemporary touch are provided. Guests can free use of a smartphone with unlimited 4G internet supported with WiFi data sharing function to share the connection with one’s own mobiles, tablets and other devices, free local calls, and IDD calls to selected countries. This smartphone can be used both in and out of the hotel. Please kindly note, cribs and rollaway beds are available with extra charges. Renovated with sleek-contemporary design and serene ambiance, this twin/double room features a 40-inch HD TV with over 30 cable and satellite channels, a mini-bar, a coffee/tea maker and a walk-in massage rainshower. Extras offer complimentary toiletries, bathrobes, hairdryer, in-room safe, slippers and bottled water. For guests' comfort, supreme duvet and bed linen, as well as sliding panel in front of a sandblasted window for a contemporary touch are provided. 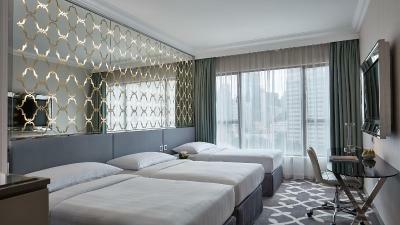 Overlooking the avenue or boasting the view of Causeway Bay city skyline, this triple room features a 40-inch HD TV with 30 channels including children channels. Extras offer a cartoon DVD library, mobile storybook library, baby body care or childcare toiletries and kids dental kit. Top quality duvet linens, coffee tea maker and safety box. 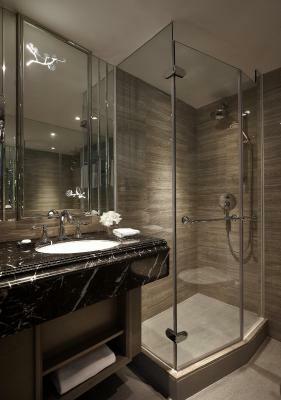 The private bathroom comes with a walk-in massage shower. - This room type cannot accommodate any extra beds. Renovated with Victorian and classical-oriental style, boasting views of race course and Causeway Bay city, this twin/double suite is sectioned into a living area, a dining area. It features a 55-inch wall-mounted TV with over 30 cable and satellite channels, executive working desk, hairdryer, in-room safe, smartly designed ironing board, coffee/tea maker and mini-bar. The private bathroom includes a bathtub and a walk-in massage shower. For guests' comfort, complimentary Italian branded toiletries, bathrobes, slippers, top quality duvet and bed linen are provided. There is a water bar offering 4 types of mineral, distilled and spring water. 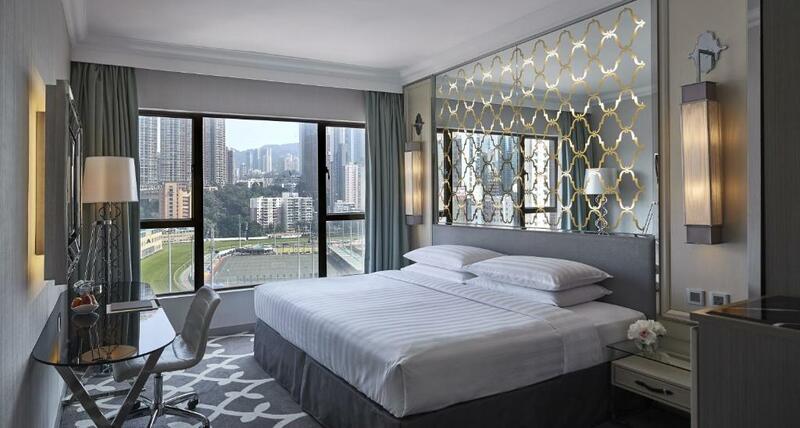 Renovated with classic, engaging ambiance, Victorian and classical-Oriental design, boasting city views of Causeway Bay and expansive the racecourse view, this twin/double room is located on higher floors. It features a 40-inch HD TV with over 30 cable and satellite channels, executive working desk, smartly designed ironing board, coffee/tea maker and mini-bar. The private bathroom includes a walk-in massage rainshower or a bathtub. For guests' comfort and convenience, complimentary toiletries, bathrobes, slippers, hairdryer, in-room safe, supreme duvet, bed linen and bottled water are offered. Connecting Rooms are possible. Overlooking the avenue or boasting views of Causeway Bay city skyline, this twin/double room features a 40-inch HD TV with 30 channels including children channels. It also provides a cartoon DVD library, mobile storybook library, baby body care or childcare toiletries and kids dental kit. Amenities for 4 including child-size bathrobes slippers and bathroom amenities. Top quality duvet linens, coffee/tea maker and safety box are provided. 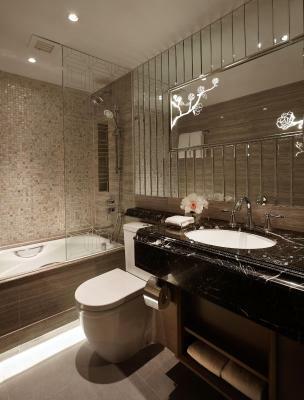 The private bathroom comes with a bathtub or a walk-in massage shower. Room rate includes a free snack box and free welcome gift. Renovated with an enchantingly modern setting and opulent design for a sophisticated ambiance, this twin/double room overlooks the avenue or racecourse. This room features a 40-inch HD TV with over 30 cable and satellite channels, an executive working desk, a mini-bar and a coffee/tea maker. 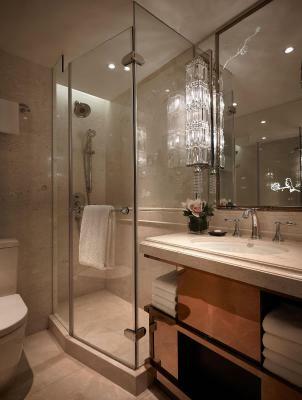 The private bathroom includes a bathtub or a walk-ing massage rainshower. Complimentary toiletries, bathrobes, hairdryer, in-room safe, slippers and bottled water, supreme duvet and bed linen are also offered. Renovated with classic, engaging ambiance, Victorian and classical-Oriental design, boasting city views of Causeway Bay, this twin/double room is located on the higher floors. It features a 40-inch HD TV with over 30 cable and satellite channels, executive working desk, smartly designed ironing board, coffee/tea maker and mini-bar. The private bathroom includes a bathtub or a walk-in massage rainshower. For guests' comfort and convenience, complimentary toiletries, bathrobes, slippers, bottled water, hairdryer, in-room safe, supreme duvet and bed linen are provided. Connecting Rooms are possible. 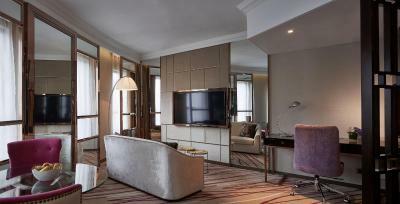 Overlooking the avenue or boasting city skyline of Causeway Bay, this room features a 40-inch HD TV with 30 channels including children channels. Extra provides a cartoon DVD library, mobile storybook library, baby body care or childcare toiletries and kids dental kit. Amenities for 4 including child-size bathrobes, slippers and bathroom amenities. 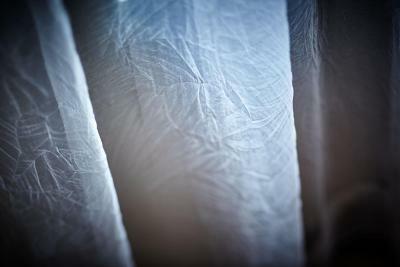 Top quality duvet linens, coffee tea maker and safety box are also provided. The private bathroom includes a bathtub or a walk-in massage shower. Featuring air conditioning and city views, this room is fitted with a mini-bar, tea/coffee maker, flat-screen cable TV and working desk. The private bathroom has shower facilities, free toiletries and hairdryer. Featuring landmark views and air conditioning, this suite is fitted with a mini-bar, electric kettle, flat-screen cable TV and working desk. The private bathroom has shower facilities, free toiletries and hairdryer. This special package includes daily buffet breakfast for 2 people. 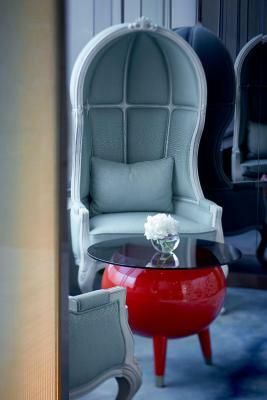 Renovated with an ocean touch, this colorful suite features views of the racecourse and Causeway Bay. It covers approximately 48 square yards (520 square feet) with a living area with a queen-size sofa bed, a bedroom with a king-size bed, and a dining area. Extras offer a 55-inch wall-mounted TV with over 30 cable and satellite channels, smartly designed ironing board, coffee/tea maker, in-room safe and mini-bar. There is a water bar offering 4 types of mineral, distilled and spring water. The private bathroom has complimentary Italian branded toiletries, bathrobes, slippers, bathtub and walk-in massage rainshower. 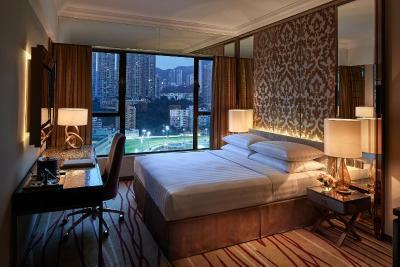 Renovated with a Victorian and classical-Oriental design, this suite features views of the racecourse and Causeway Bay. It is fitted with a collection of state-of-the-art 3D audio-visual home theater system boasting 4K resolution including a 55-inch wall-mounted TV with over 30 cable and satellite channels and a PlayStation 3. The room is sectioned into a living area, a dining area and a bedroom. There is a water bar serving 4 types of mineral, distilled and spring water. 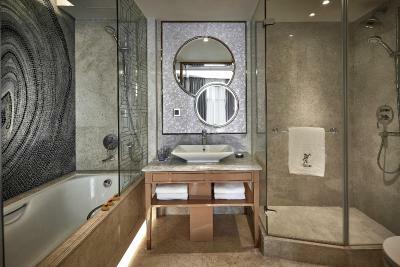 The private bathroom includes complimentary Italian branded toiletries, bathrobes and slippers. For guests' comfort, supreme duvet and bed linen are provided. 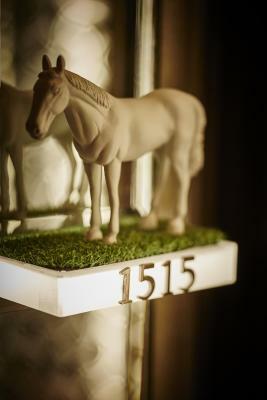 Renovated with a Victorian and classical-Oriental design, this suite features views of the racecourse and Causeway Bay. It is fitted with a fantastic collection of massage equipment and purifiers including state-of-the-art full-body massage chair to relax all or particular parts of the body. The suite is sectioned into a living area, a dining area and a bedroom. Extras offer a 55-inch wall-mounted TV with over 30 cable and satellite channels, an executive working desk and a water bar with 4 types of mineral, distilled and spring water. For guests' comfort, complimentary Italian branded toiletries, bathrobes, slippers, supreme duvet and bed linen are provided. 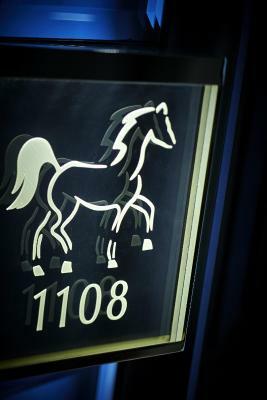 Featuring air conditioning, the room comes with carpeted floors, flat-screen cable TV, in-room safe and working desk. The private bathroom has shower facilities, free toiletries and hairdryer. Featuring air conditioning and city views, the room comes with carpeted floors, flat-screen cable TV, in-room safe and working desk. The private bathroom has shower facilities, free toiletries and hairdryer. Featuring air conditioning and city views, the room comes with carpeted floors, flat-screen cable TV, in-room safe, mini-bar and working desk. The private bathroom has shower facilities, free toiletries and hairdryer. 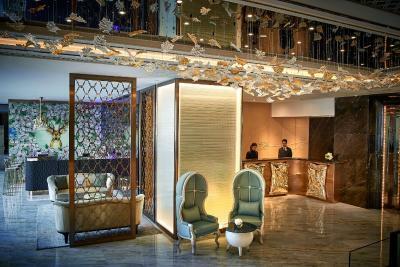 - Enjoy 3-hour of airport lounge access at Hong Kong International Airport for booking of 2 consecutive nights or more. 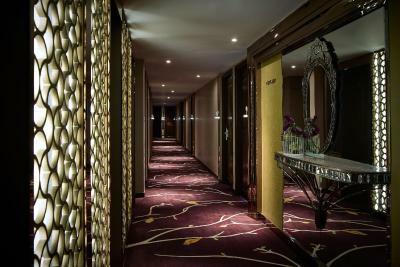 Guests will receive an airport lounge access card per room. Each card is available for single entry only. 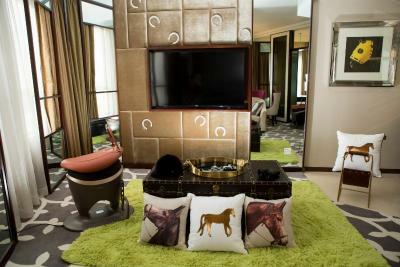 Renovated with the enchantingly modern setting and opulent design for a sophisticated ambiance, this twin/double room overlooks the avenue or the racecourse. It features a 40-inch HD TV with over 30 cable and satellite channels, an executive working desk, a mini-bar and a coffee/tea maker. The private bathroom includes a bathtub or a walk-in massage rainshower. 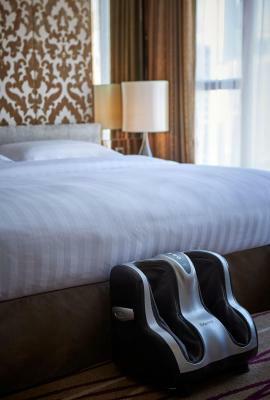 For guests' comfort and convenience, complimentary toiletries, bathrobes, hairdryer, in-room safe, slippers, bottled water, supreme duvet and bed linen are provided. - Coupons of free Dim Sum meal at the selected Michelin-starred Dim Sum Restaurant. Maximum 2 coupons per stay. For detailed terms, please refer to back side of the coupon. - Coupons of the free signature meal for breakfast or lunch at selected local Hong Kong café restaurant. Maximum 2 coupons per stay. For detailed terms, please refer to back side of the coupon. 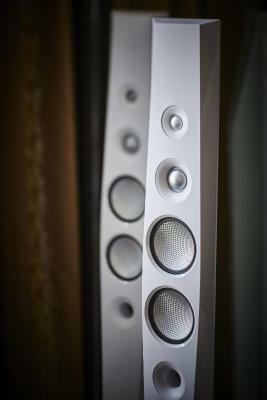 - Premium WiFi access with maximum 6 devices usage in the room. Featuring an inviting ambiance for a mind-calming retreat, covering a space of 20 square yards, this twin/double room is fitted with 1 queen-size bed and 2 single beds. 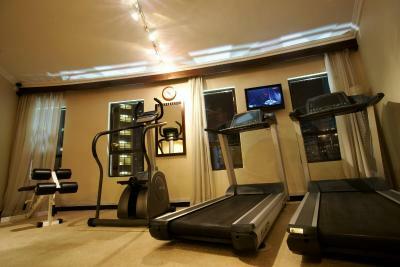 Amenities include an HD TV with over 30 cable and satellite channels, in-room safe, a mini-bar and a tea/coffee maker. 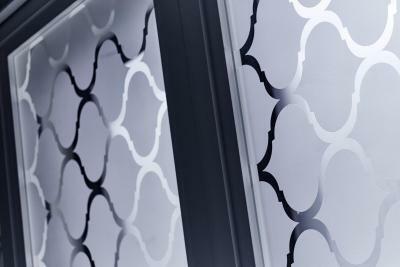 The room features sliding panel in front of a sandblasted window for a contemporary touch. 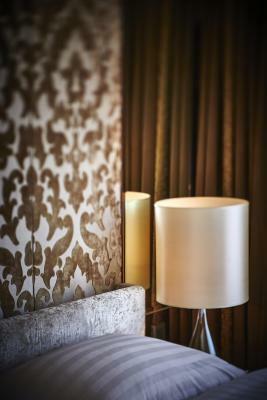 For guests' comfort, bottled water, supreme duvet, bed linen and hairdryer are provided. 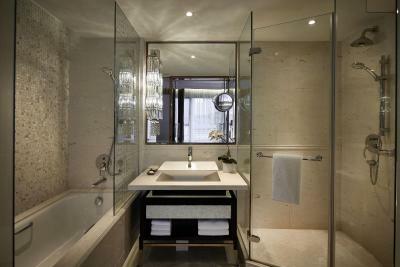 The private bathroom includes complimentary toiletries, bathrobes, slippers and rainshower. Room rate includes daily breakfast for 2 people at a selected popular local Hong Kong restaurant with only a 10-minute walk from the property where guests can experience an authentic delicacy served since 1967. Featuring air conditioning and city views, this double room is fitted with a mini-bar, electric kettle, flat-screen TV, in-room safe and working desk. The private bathroom has shower facilities, free toiletries and hairdryer. 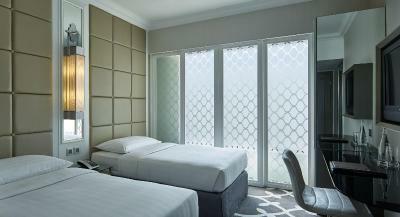 - Stay 1 night in a renovated Premier Room. - A 4-flavor hotpot dinner for 2 at the Dining House Restaurant served from 17:30 to 19:30. - A bottle of sparkling wine in the room. - Handmade sweet treats in the room. Featuring city views and air conditioning, this large suite is fitted with a mini-bar, electric kettle, flat-screen TV, working desk and in-room safe. The room is sectioned with a bathroom, a dining area and a seating area with a sofa. Extras offer a massage machine, professional telescope and a water bar with 4 types of mineral, distilled and spring water. 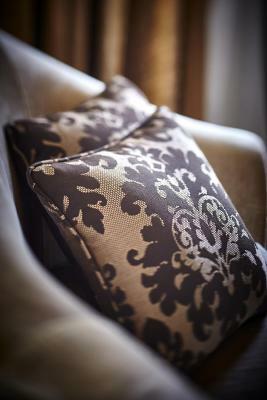 For guests' comfort, supreme duvet, bed linen, complimentary toiletries, bathrobes and slippers are provided. - Free drink redemption coupon, a glass of beer and a gift shop voucher in the HAPPY WEDNESDAY pack. 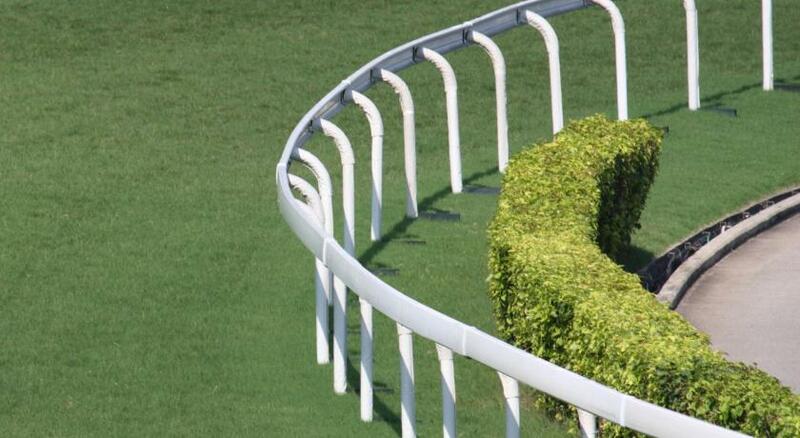 Please note that HAPPY WEDNESDAY pack is only applicable to racing nights at Happy Valley Racecourse. Custom-made to deliver a holistic beauty and wellness experience, this suite comes with a complete set of beauty treatment valued over HKD 3,500 and a host of GLYCEL signature skincare products as a gift for the beauty guests. 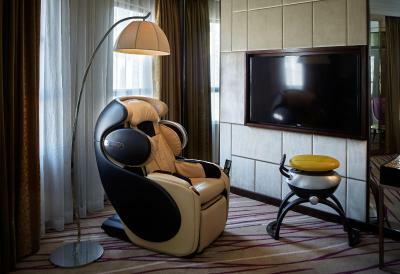 Guests can also enjoy massage machine and the brand’s high-tech beauty devices with a personalized beauty experience while overlooking the expansive view of the Happy Valley Racecourse and city skyline. - A complete set of beauty treatment for ladies including one-time complimentary hand treatment for 15 minutes. Maximum 2 times for double occupancy and 1 time for each guest. - One-time complimentary facial treatment for 75 minutes. - Either one-time enhance brightening collagen eye mask extra treatment for 15 minutes or one-time detoxifying body massage for 30 minutes. 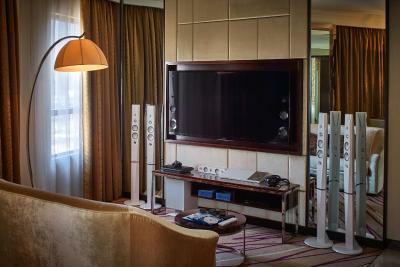 - In-room facilities include branded high-tech skincare devices (42°C mobile skin therapist and 1-touch intelligent eye therapist). 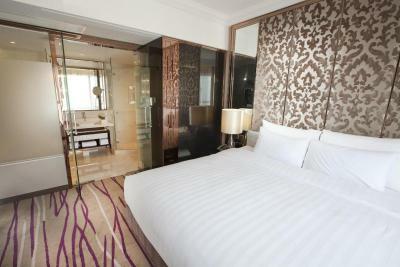 Newly renovated, overlooking the avenue or Causeway Bay city skyline. 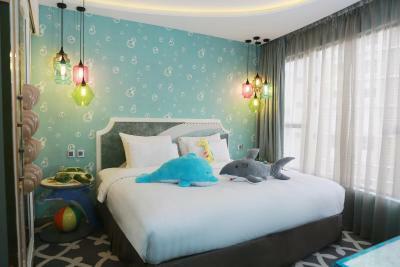 The room features a 40-inch HD Samsung TV with more than 30 channels including the Children Channel; mobile storybook library is also available on request. Amenities for 5 including the child-sized bathrobes, slippers, dental kits and kid’s toiletries. Top quality duvet linens, coffee&tea maker, safety box and bathtub or walk-in massage shower experience. The room rate includes a free snack box and a teddy bear. Complimentary use of a smartphone with unlimited 4G Internet (supported with WiFi data sharing function), free local calls, and IDD calls to selected countries. This smartphone can be used both in and outside the hotel. The room comes with two double beds, plus an extra bed catering for up to 5 guests. Recently renovated all rooms and extended free shuttle bus route to add Central Harbourfront Stop (Star Ferry Pier) to the list. Family-friendly offering tailored kid amenities and gifts. Theme suites and rooms for 3 and 4 persons are available. Dorsett Wine Hour and Dorsett Candy Bar serving wine, canapés and candy on the house every Friday evening. House Rules Dorsett Wanchai, Hong Kong takes special requests – add in the next step! 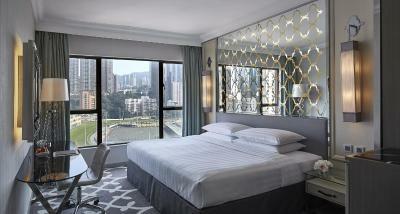 One older child or adult is charged HKD 605 per person per night in an extra bed. Dorsett Wanchai, Hong Kong accepts these cards and reserves the right to temporarily hold an amount prior to arrival. The hotel reserves the right to pre-authorize guests' credit card for the entire period of stay prior to arrival. Kindly note that if a debit card is provided for such purpose, the related amount will be deducted by the bank during the pre-authorizing process, and the hotel shall not be responsible for this under any circumstances. Kindly note for the smart phone, guests can enjoy unlimited 4G internet, WiFi data sharing function for multi-device connectivity, make free local and long distance calls (IDD calls) to 8 countries including Mainland China, US, Canada, Singapore, Korea, UK, Australia and Thailand (portable for use inside and outside of the hotel). Kindly note for shuttle service, there are 14 destinations including IFC, HKAEL Hong Kong Station, Hong Kong Convention and Exhibition Center. Please note that the hotel was formerly Cosmopolitan Hotel Hong Kong prior to October of 2016. Please note that the same credit card used for booking must be presented at the time of check-in. The name on the credit card must be the same as the guest checking-in. Guests are required to show a photo identification and credit card upon check-in. The property is a 100% indoor smoke-free hotel, there is an outdoor area within the hotel where smoking is allowed, which is outside the 3T bar on G/F, next to reception counter. Please contact the property directly if you require a guest name change.